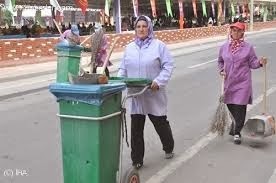 It is well known that only a minority of women work in Turkey. There is a very low female labor force participation rate, currently only just above 30 percent. When the agricultural sector is excluded, the percentage of women in the labor force is even lower. In urban areas, the female participation rate had hardly reached 26 percent by 2012. Although the rate is on an upward trend with increasing education levels, the gap that exists with Italy and Greece, the two countries that have the lowest female labor force participation rates in Europe, is still very high. They each have a rate of around 55 percent. In order to achieve its challenging economic development ambitions, Turkey needs to increase the number of working women more rapidly than in the past. Indeed, more working women means more breadwinners in the household and therefore more income and more spending on children's education, as well as more savings and, finally, higher growth rates. In this respect, there is rather good news. Bahçeşehir University's Center for Economic and Social Research (BETAM) published research this week that analyzes recent developments in the female labor market. From 2005 (the year the Turkish Statistics Institute [TurkStat] started to publish quarterly labor market data) to 2012, female employment and the female labor force in urban areas increased by 1,500,000 and by 1,700,000, respectively; an increase of more than 50 percent in both categories. The number of unemployed women increased by 200,000, but the rate of female unemployment decreased from 17 percent to 15.5 percent thanks to the strong increases in employment and the labor force. It should be noted that significant growth in the number of working women occurred in recent years. Indeed, 70 percent of the overall increase took place between 2008 and 2012. The female participation rate in urban areas rose from 18.7 to 20.8 percent between 2005 and 2008, at an average of 0.7 percentage points per year while the participation rate reached 26.1 percent in 2012 and the yearly average increase has been 1.3 points. If this observed acceleration in the female labor force and employment continues during the coming years, Turkey will be able to catch up to Greece and Italy with respect to the percentage of working women by 2030. Is this catch-up plausible? Answering this question needs a comprehensive analysis, but a close look at the figures may already provide some hints. BETAM's research shows that the largest share of the acceleration both in the increase of urban female employment and the labor force might be explained by the rise in middle-aged and less-educated housewives in the labor market. Almost half of an increase of 1,225,000 in urban female employment during the last four years is women having at least a college degree. This fact is not surprising, since the participation rate at the college level is quite high (70 percent) and the number of female college graduates is regularly increasing. It should be noted that from 2005 to 2012 no changes are observed in the participation rates of college graduates when considering age groups, except for women over the age of 44. This means that there are no exceptional entries into the labor market at this level of education and the increase in participation rates at later ages can be easily explained by delayed retirement (See BETAM's 2013 research brief “Artık daha geç emekli oluyoruz” [We are postponing retirement]). So, we can conclude that the increase in the female labor force and employment at the college level will be slightly faster in the future because of later retirement. The surprise lies among high school graduates, but mostly among women having an educational attainment level of less than high school. The participation rates of women aged between 25 and 54 with a high school diploma are increasing regularly. This means that each year, some housewives with a high school-level education decide to work. But the impact of this group on the exceptional increase in the number of working women is rather limited, since high school graduates constitute only 15 percent of female employment. On the other hand, less-educated middle-aged women started to enter the labor market in great numbers in recent years. The participation rate of this group increased by 4.3 percentage points, from 11.7 percent in 2008 to 16 percent in 2012, while the increase in the participation rate for women aged between 25 and 54 jumped by 7.7 points, from 13 percent to 20.3 percent. What pushed these housewives to work? We do not know the answer yet. When we have that answer we can predict if the rise in the number of working women will continue in the future.